Launch international joint degree programs aiming to establish state-of-the-art technology for comprehensive human bioscience driven by development of novel approaches in genomics and life science big data analysis, as well as to foster young investigators for unique interdisciplinary challenges that enhance their range of expertise. In the human bioscience field, we aim to create an international research center with the objective of discovering fundamental principles underlying the phenomena of life, identifying the origins of diseases and pathological mechanisms, and applying research results toward development of advanced medical treatments and disease prevention. Toward these goals, we have worked to build a framework for strong international partnerships with research groups — primarily at leading European and American universities, namely McGill University, the University of Bordeaux, the Pasteur Institute, and Imperial College London — which focus on genomic medicine. 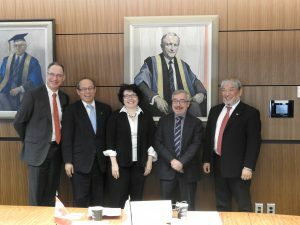 By establishing an international joint degree program, the Kyoto-McGill International Collaborative School in Genomic Medicine (doctoral program), to commence in April 2018, we will fully internationalize our graduate education with the aim of producing individuals who can compete in the international arena and further enhance Kyoto University’s global reputation. In this field, members of our faculty have been awarded a number of prestigious international prizes, including the Nobel Prize in Physiology or Medicine (Susumu Tonegawa and Shinya Yamanaka), the Robert Koch Prize (Susumu Tonegawa, Shigekazu Nagata, Shinya Yamanaka and Tasuku Honjo), and the Albert Lasker Award for Basic Medical Research (Susumu Tonegawa, Yasutomi Nishizuka, Yoshio Masui, Shinya Yamanaka and Kazutoshi Mori). 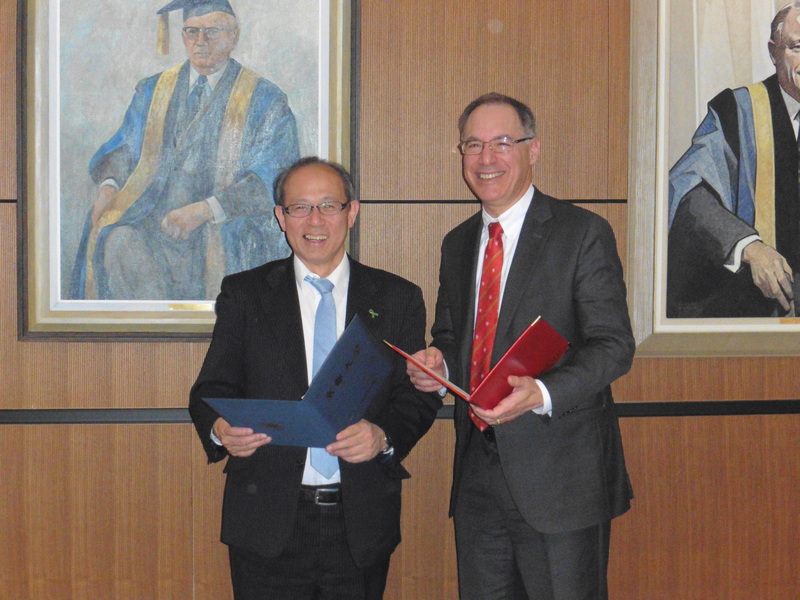 We have continuously collaborated with McGill University and Imperial College London on life science big data analytics and on joint research into medical informatics. 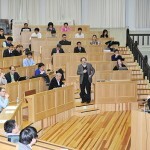 In addition, since 2013, we have organized the annual Kyoto Course and Symposium on Bioinformatics for Next Generation Sequencing with Applications in Human Genetics, in which leading experts from within and outside Japan share the most advanced analysis techniques and data processing technologies for deciphering and interpreting human genomes. Since March 2015, we have employed several world-renowned researchers in the fields of genome analysis and statistical genetics as Distinguished Visiting Professors. 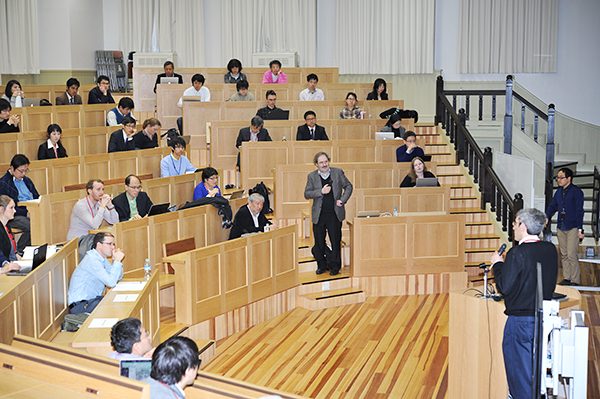 In October 2015, we organized the first Joint Symposium of International Partners in Kyoto, bringing together the leaders of our five partner universities in a launch event for the international joint degree programs. 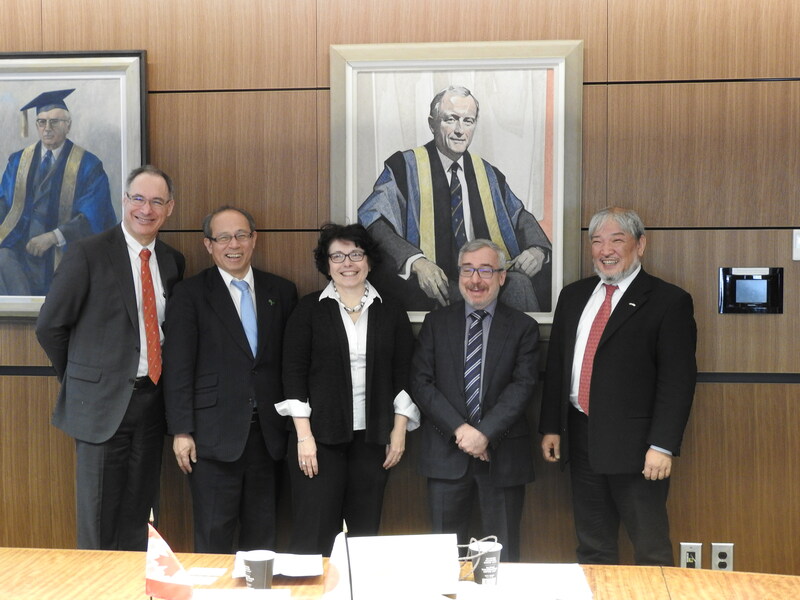 Kyoto University had a strong presence and played a central role toward international partnership, which was highly appreciated by stakeholders. 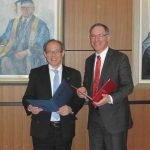 In April 2018, as another innovative endeavor, we will launch a joint degree program with McGill University, which is one of the leading institutions in genomic medicine research, with a focus on producing experts for the field. We are also intensively considering measures toward construction of a framework for further international partnerships, such as joint research with the University of Bordeaux on imaging genomics, holding a biennial summer school on genomic medicine, founding a collaborative research unit with the Pasteur Institute, running a collaborative education program on analysis of life science big data with Imperial College London, and introducing an intensive course on theoretical systems biology.